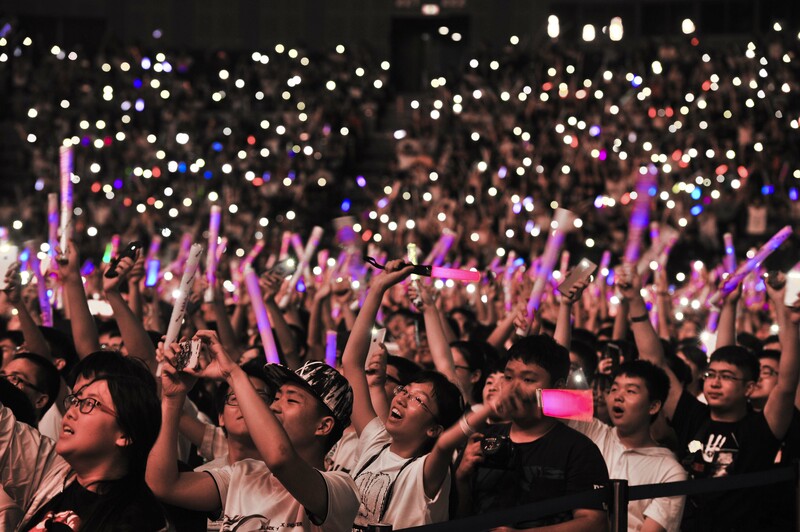 Teenagers going wild at Bilibili’s annual concert. Photo credit: Bilibili. At the Mercedes-Benz stadium in Shanghai, the rows are packed with teenagers. More than ten thousand of them are here, a glowstick-armed crowd that erupts in a sea of bobbing light as the music starts. A group of girls scream as the singer appears on stage. The boy next to me whips out two smartphones – one in each hand – and starts recording. It would be like any other concert except the singers aren’t typical celebrities. They’re all users of Bilibili, one of China’s largest fan sites for anime, comics, and gaming (ACG). For many of them, this is their first time performing on stage. “Bilibili is not only a video website […] but also a space for fan communities to share and discuss their own products,” explains Yiyi Yin, Ph.D student and research assistant at the Chinese University of Hong Kong, who studies and writes about youth culture in China. 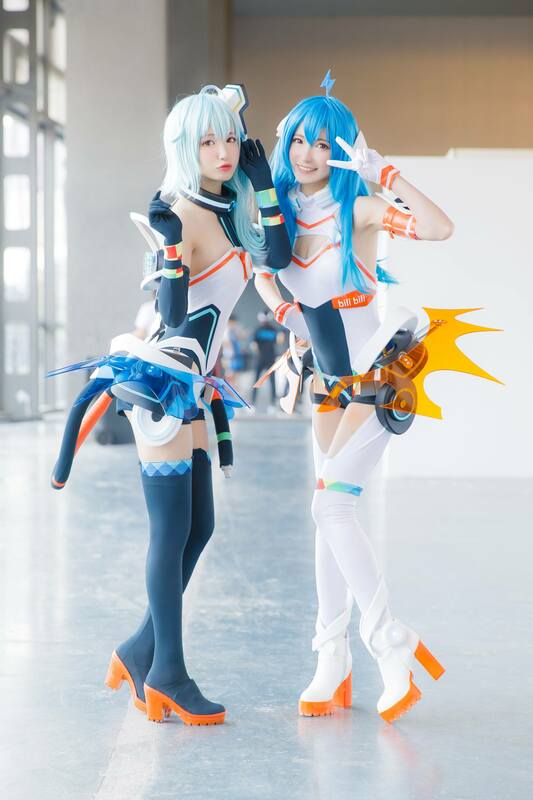 Two teens dressed up as Bilibili’s anime mascots. Photo credit: Bilibili. In China, the video streaming industry is intensely competitive. Mainstream TV shows and movie streaming are all but dominated by domestic tech giants like Baidu and Tencent, who can afford pricey licensing deals. As a result, the market for user-generated video platforms, where success depends on the strength of the social network, not just the capital to purchase copyrighted work, is hotly contested – and even more so now that live streaming has taken off. Bilibili, however, is somewhat of an anomaly. Launched in 2009, the Shanghai-based company has not only managed to survive several waves of competition, but has a sizable following comparable to that of Pinterest, with more than 150 million monthly active users. Part of it has to do with the company’s selection of investors, which includes Tencent and IDG Capital. But it’s also a testament to the company’s ability to harness fan culture. Unlike other video apps, such as Vine-like Miaopai, users on Bilibili are rewarded for fandom, not necessarily fame or popularity. For example, users who want to upload content to Bilibili must first pass a 100-question multiple choice test to prove their love for ACG culture. After they pass, they can start contributing to the site, whether it’s writing comments or sharing their own videos, many of which are products of some obsession. In that way, they’re able to attract other users not only because of the quality of their work, but because they have a shared appreciation for an anime series or game. Danmu or bullet commenting is a popular feature on Bilibili. It lets users write comments and watch them fly by in real-time while watching a video. 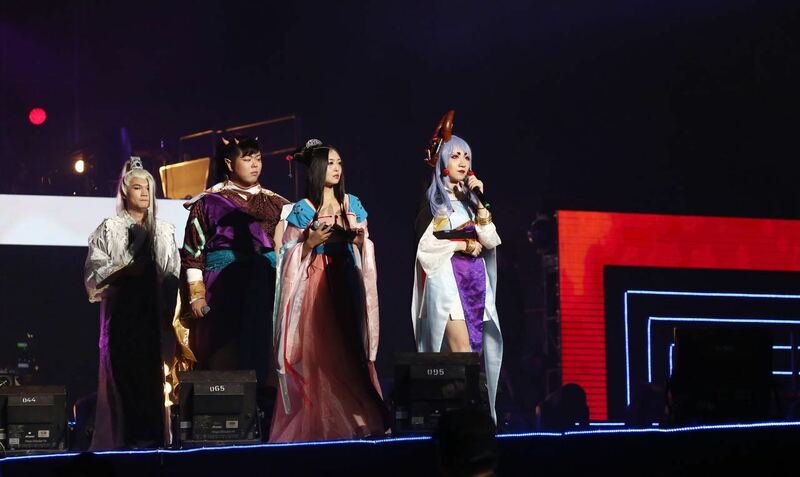 As a result, about 70 percent of Bilibili’s traffic goes to user-generated content, which ranges from origami tutorials to video game footage and cosplay, where users dress themselves in character costumes. Like Youtube, these content creators can then develop their own fanbase, with the more successful ones sometimes moving on to mainstream platforms, like Tencent Video. Every year, popular Bilibili users are also chosen to perform at Bilibili Macro-Link (BML), an annual concert organized by the company. This year, attendees paid as much as US$200 for tickets. “I wanted to come last year, but the tickets were sold out in seconds,” says Li Ruonan, a 22-year-old who traveled from central China for Bilibili’s event in Shanghai. It’s her first time attending BML and so far, she hasn’t been disappointed, she says. To be sure, Bilibili users are not representative of China’s mainstream culture. The site’s niche is ACG content, a subculture associated with geeks and gaming fanatics. But the site also has an extraordinarily young following. According to Bilibili, the average age of its users is 17. 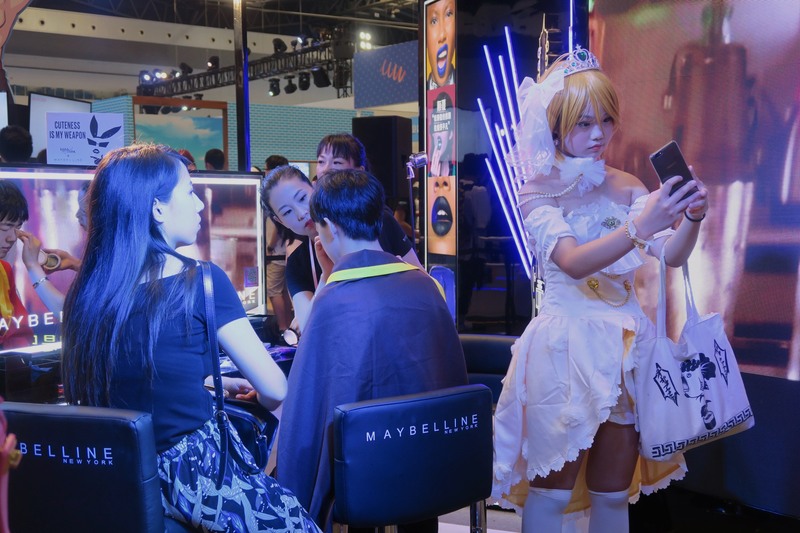 That’s why mainstream brands like KFC, Nike, and Maybelline had prominent booths at Bilibili’s annual event last week. Maybelline provided free makeup artists for cosplayers while KFC handed out co-branded swag. A cosplayer gets a quick touch-up by a Maybelline makeup artist. Photo credit: Tech in Asia. The strong representation of young users also means that Bilibili’s content is increasingly reflective of their tastes. When the site first launched, it primarily revolved around Japanese anime and gaming videos. Today, there are cat videos, cooking shows, and even makeup tutorials – a result of Bilibili’s new and expanding user base. Young users are also more enthusiastic about Chinese traditions and culture. One of the more popular songs at BML, for instance, was written in the style of traditional Chinese music. Classic instruments like the erhu and pipa also featured highly during the show. “Even fashion from the Han Dynasty has become part of ACG culture,” laments Jin Xia, who has been using Bilibili for almost a decade. 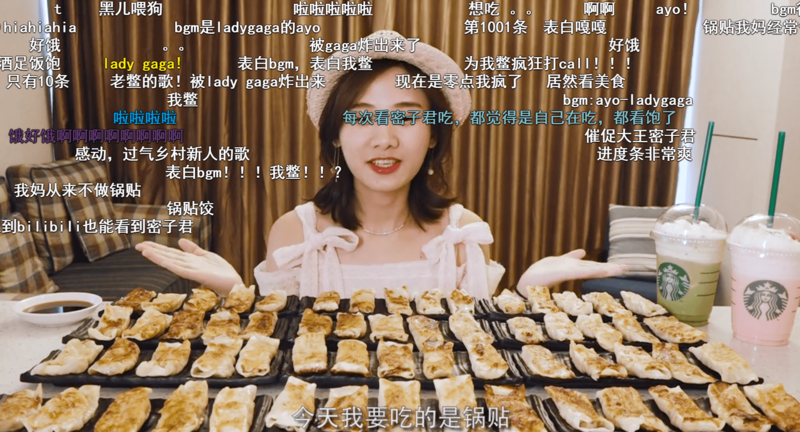 Younger users – “Children, really,” she says – have brought traditional Chinese dress into the geeky world of Bilibili, where it has since evolved into a category of its own: gufeng, a broad term that applies to anything inspired by traditional Chinese culture. Gufeng-style performers at Bilibili’s annual concert. Photo credit: Bilibili. At the same time, Bilibili is publishing more domestically produced content – the site even has a “Made in China” category for videos. The company has also invested in various Chinese anime projects, as well as films, such as “Masters in Forbidden City,” which details the work of museum conservators at Beijing’s imperial palace. This surge in Chinese content might come in handy as Bilibili weathers tightening restrictions around foreign content. Earlier this month, shows from the US, UK, Japan, and South Korea were abruptly pulled from Bilibili’s site in what was reported as a crackdown on copyright infringement. Like Youtube, Bilibili’s early days earned it a reputation for pirated content, especially since users could upload their own files. But the fan site hasn’t been the only target of Beijing’s campaign against illegal content – other content providers, from mobile games to overseas children’s books are also feeling the squeeze. Currency converted from Chinese yuan. Rate: US$1 = RMB 6.73.